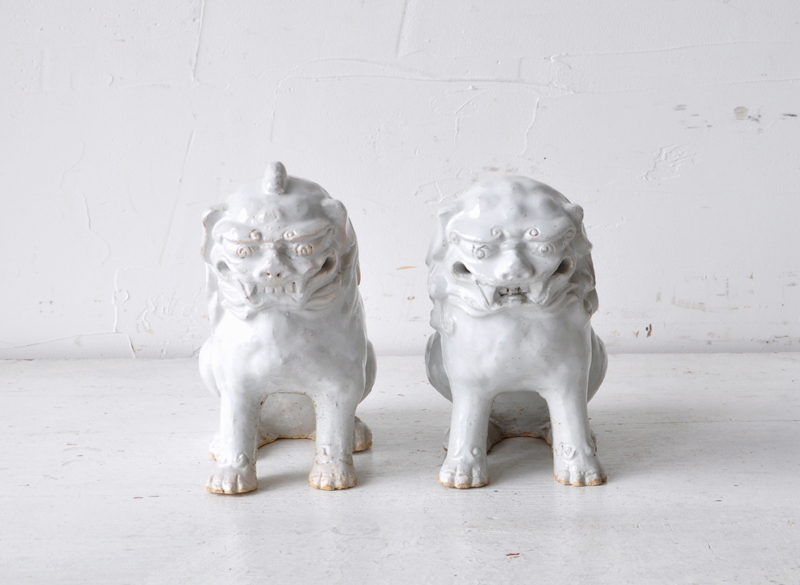 WHITE KOMAINU (Dealer: hotoke antiques) – Lovely pair of pottery ‘komainu’ Shinto guardian dogs with such tripping spiral eyes coated in white slip, with the potter’s sign at each bottom (though unidentified). 20th century, Japan. The open mouth komainu wards off evil spirits, and the closed mouth komainu keeps good spirits in, as ‘a-un’ (inspiration and expiration, or alpha and omega) relationship.